CNN and The Weather Channel ran into trouble on Monday night when they falsely reported that the New York Stock Exchange was flooding with water. At around the same time, CNN meteorologist Chad Myers and The Weather Channel's Bryan Norcross reported that there was up to three feet of water flooding the building, which has been closed due to Hurricane Sandy. Myers cited "the National Weather Service, through broadcast media," presumably referring to The Weather Channel. CNN then brought in Ali Velshi to weigh in. 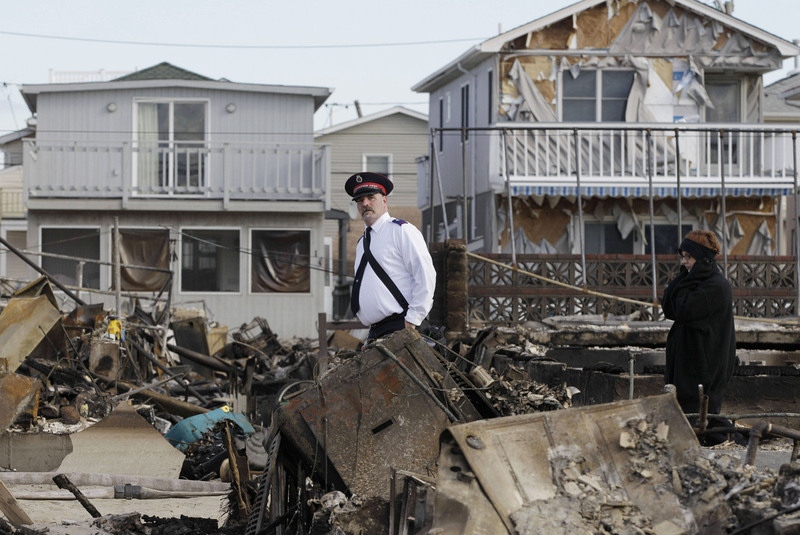 He was already in the center of danger, knee-deep in water on a flooded Atlantic City block. But, as one of CNN's top financial journalists, he commented on Meyers' report. "This will have an influence worldwide on people's wealth," he said ominously. Erin Burnett also reacted, saying that it was an "incredible thing" and a "record-making moment" and adding, "It's a wooden floor, and it's a historic building, the damage it could do would be amazing." Unfortunately, the report started to unravel almost immediately. Politico's Ben White tweeted that a Stock Exchange official had categorically denied the story to him. NY1's Pat Kiernan then tweeted what he said was a photo of what the Stock Exchange actually looked like (very dry). A spokesperson for the NYSE then told ABC that the Weather Channel had issued an "egregiously false" report. Myers: Oh is that right? You know, I got that from the National Weather Service Chat bulletin board. It was right on there, it said three feet of water on the floor. I don't know if there's conflicting reports or not. Myers: Of course, power's out, lights are out; phones are probably not working. I don't know. I will clear it up though, I will figure it out whether that happened or not.